The treatment of religious minorities in China regularly makes headlines in the West. In recent years, China’s treatment of the Falungong and its policies in Tibet and, to a lesser extent, Xinjiang, have attracted much comment, but this is rarely informed by an understanding of how China’s policies towards religious minorities as a whole have developed. 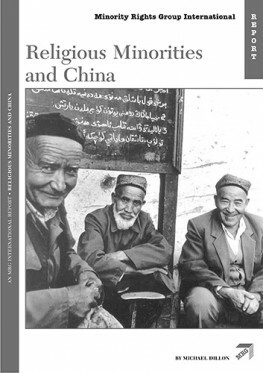 This new Report fills that gap, providing an authoritative overview of the major world religions in China, Tibet and Xinjiang since 1949. The Report gives a history of the efforts of the Chinese Communist Party to control and, during the Great Leap Forward and the Cultural Revolution, to attack religious institutions. It describes how, since the ‘Reform and Opening’ of 1978 onwards, officially registered religious groups are tolerated and have some representation in a national forum. Unofficial groups, however, are regarded as unpatriotic. The Report focuses on Buddhism, Christianity and Islam, which the state considers synonymous with separatist movements and a threat to China’s territorial integrity. Tibet and Xinjiang, with their Buddhist and Muslim populations respectively, are contested territories, and freedom of religion and association in these areas is particularly liable to suppression. The Report also looks at the rise of the new religions, focusing on the Falungong.